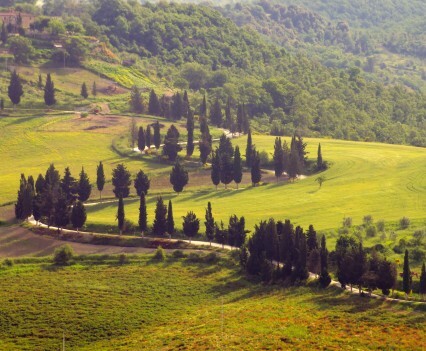 Join us on a very personal and authentic view of life on a culinary tour in Umbria, Italy. A Mrs. McGarrigle’s culinary tour is more than just (incredible) food – they allow me to share my passion for this beautiful region, its people and their culture. 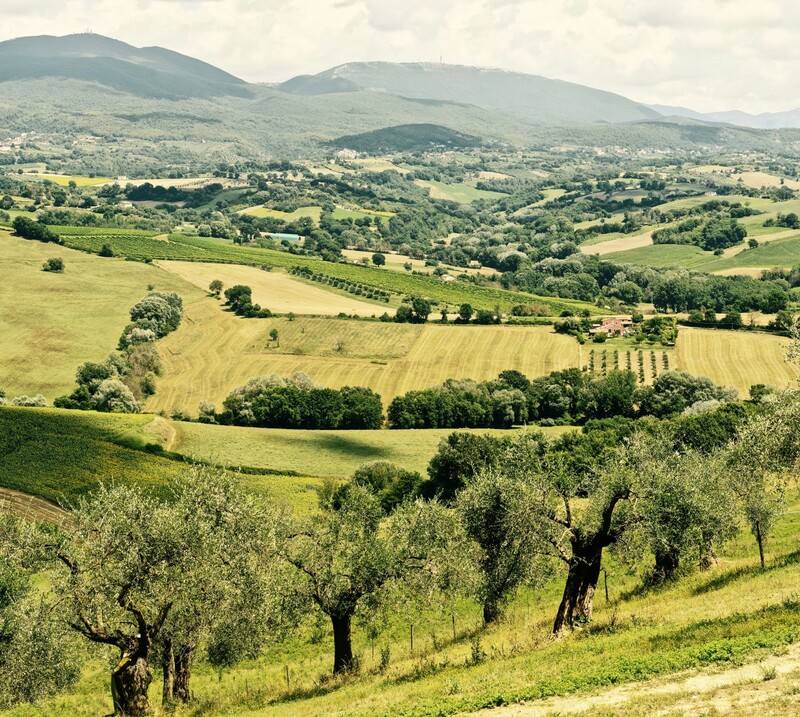 You will not only experience Umbria’s rich culinary traditions in nightly cooking classes at the palazzo, but you’ll also see how fresh mozzarella is made, harvest olives, and visit family-run wineries (depending on the season) – developing a deeper understanding and appreciation for your ingredients and where they come from. 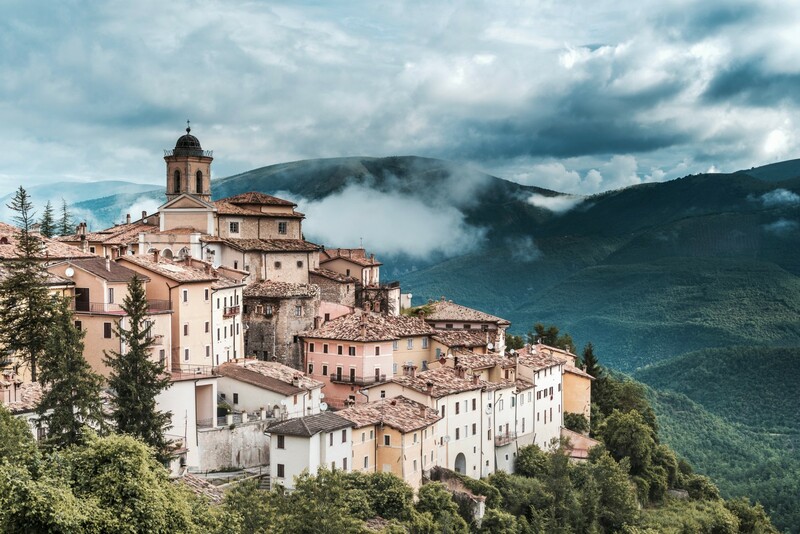 Your culinary tour includes a stay at a beautifully restored 15th century Renaissance palazzo in the heart Amelia – complete with views of the rolling Umbrian countryside, large beds with luxurious linens and amazing breakfasts – you’ll never want to leave! Owners and good friends Rita, Michela and Guglielmo join us in hosting excursions and meals all week. 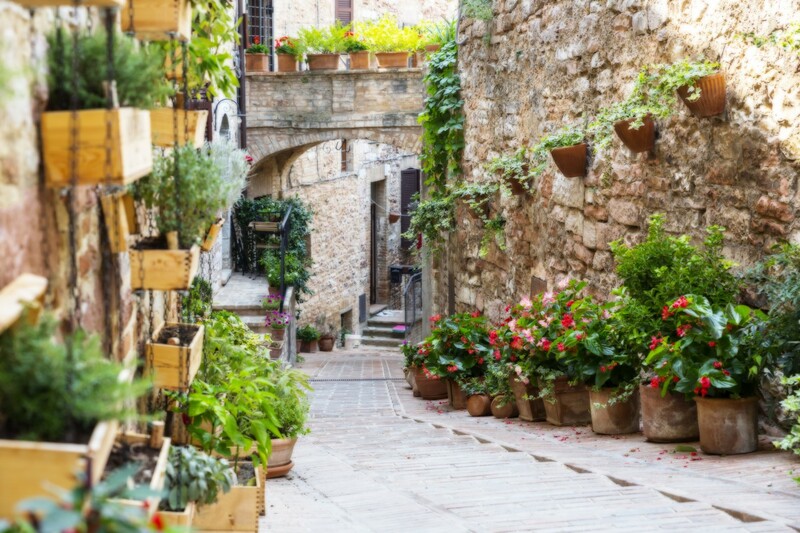 You’ll discover the ancient hilltown and commune of Narni in central Italy. 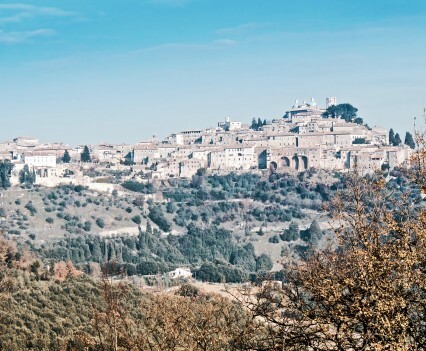 Narni’s Sotterranea or underground – undiscovered until the 1970s – features an underground 12th century church, monastery and prisons that were used during the Inquisition. At an altitude of 280 m, it overhangs a narrow gorge of the Nera River in the province of Terni – it’s an incredible sight! 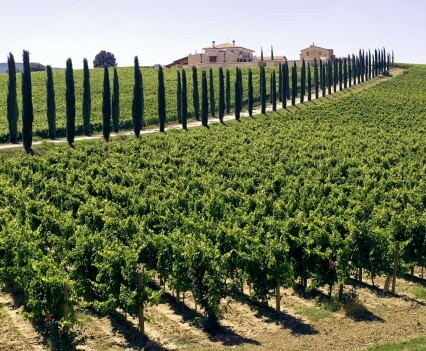 You’ll visit authentic family-run wineries while strolling through the vineyards with the charming winemaker himself – accompanied by crisp Umbrian whites and fruity red wines in a tasting led by the family’s vintner. On the trip, we visit family-run wineries where you get to see the behind-the-scenes action first-hand ! When real life looks like a painting, it’s a cool thing. 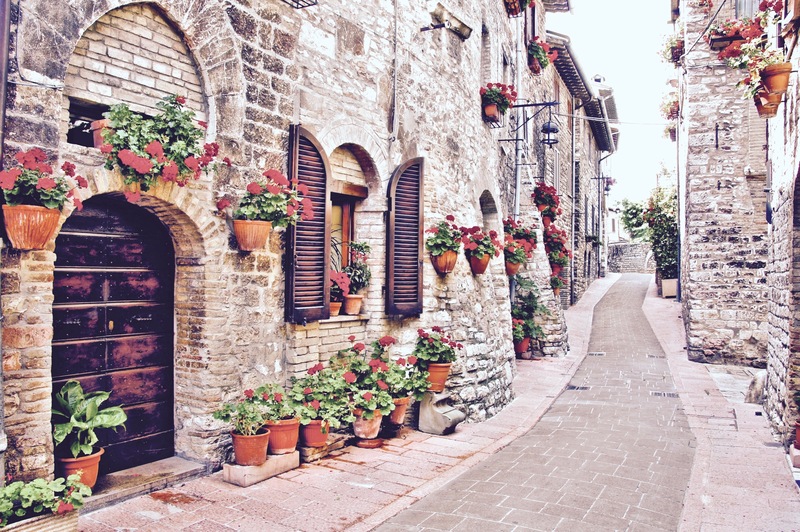 One of the absolutely gorgeous side streets in Amelia, Italy. This is just one of the incredible views you’ll see on a Mrs. McGarrigle culinary tour! 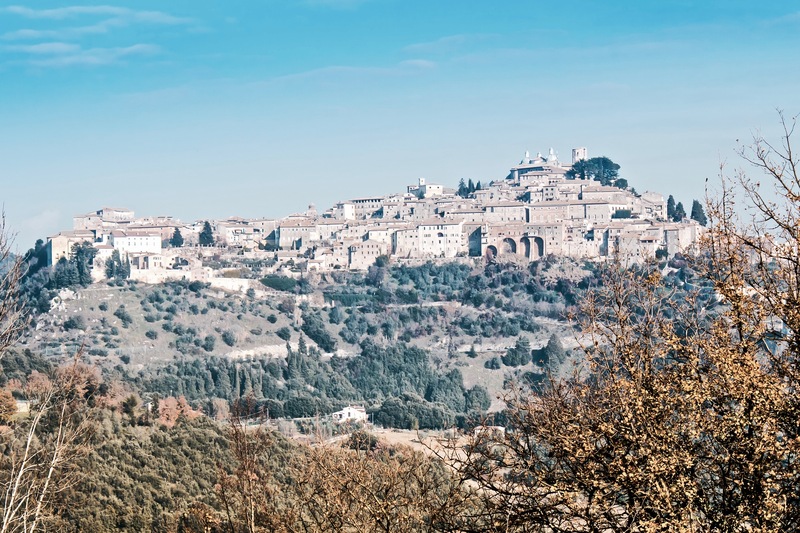 You’ll get to see Orvieto, whose charms range from a breathtaking black and white Gothic Duomo in the centre of town, to ancient Etruscan artifacts (100 – 300BC), to trendy shops and talented artisans’ ateliers. 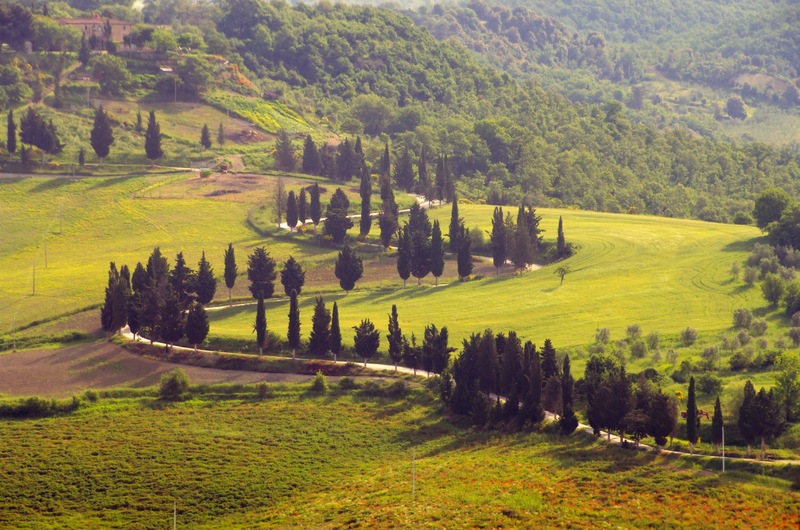 Orvieto is also home to many ristoranti (one of Orvieto’s specialty dishes is truffle pasta) and the white wines produced in the region are highly prized. You’ll experience a feast for your stomach and soul! You’ll immerse yourself in Umbria’s rich culinary traditions through nightly cooking classes with local chefs Alessia and Andrea at the palazzo. Not only will you get to learn how to cook like the authentic pros on your culinary tour, but you get to eat your creations afterwards. 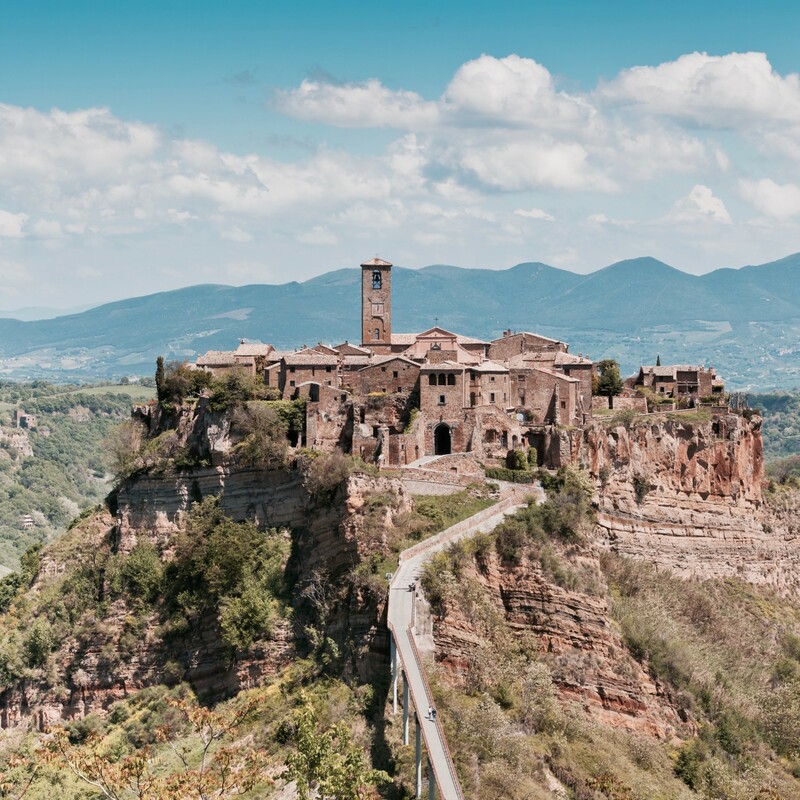 You’ll get to see the most stunning hilltop village in Umbria – Civita di Bagnoreggio! It’s surrounded by a vast canyon and accessed only by a footbridge – with a population of only 21! The huge stone entranceway was originally carved by the Etruscans (circa 500 BC) – and once through this gate, you enter another world, largely unchanged since the Middle Ages. You’ll visit the olive mill Frontoio Bartolomei, an olive mill that was established at the end of the 19th century and currently run by the fourth generation of the Bartolomei family – the first family in the Montecchio region to establish their own mill on their farm! The mill also houses a fascinating olive oil museum featuring a massive wooden 16th century olive press. You’ll tour the vineyards and olive groves with daughter Carla and enjoy lunch in the olive mill and taste authentic Bruschetta toasted over in the woodburning fireplace, and experience authentic salume, cheese and tapenades of the region, along with their own authentic wines produced on the farm. 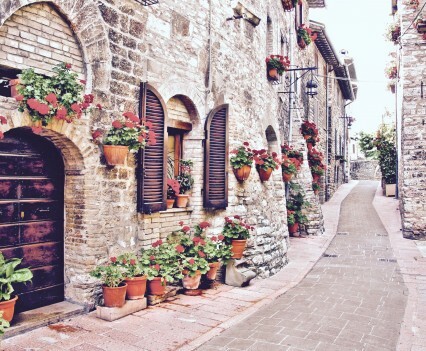 You’ll experience the breathtaking Montefalco, known for its magnificent views, linen mills, quaint shops and full-bodied Sagrantino wine made exclusively in the area. 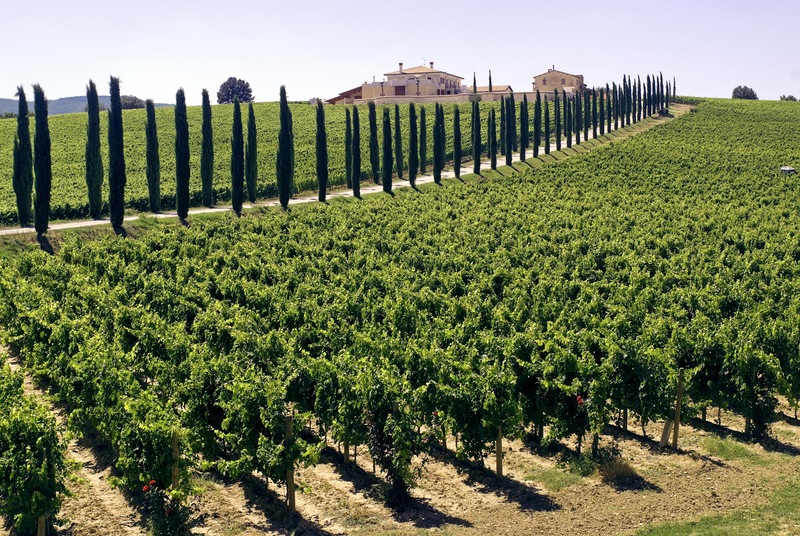 Every year around Easter, the town sponsors a major festival called Settimana Enologica — or Wine Week — where visitors can enjoy the principal wines produced in the area. Our next culinary tours run May 19 – 26, 2018 and September 22 – 29, 2018. If you would like to join us, or would like more information, please get in touch.